We are just a couple of days away from a brand new year and just this evening I was browsing some websites and came across an early surprise. 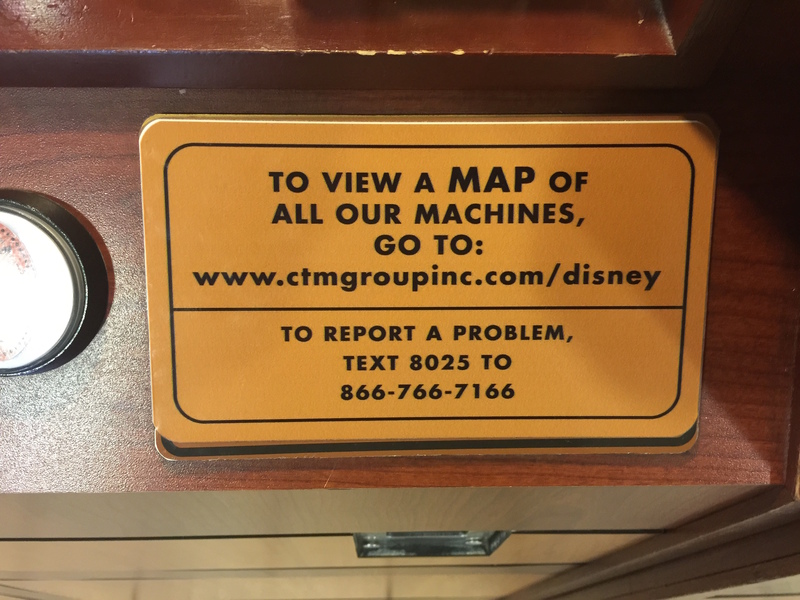 On one of my trips to WDW last year I noticed that a lot of the pressed coin machines had a website address listed to get the most up to date locations of all the machines across property. I took a picture so I wouldn’t forget about it when I came home. This website has become just another routine I go through a few times a week. I check out the website to see if anything has changed, moved or best of all a new machine is available. 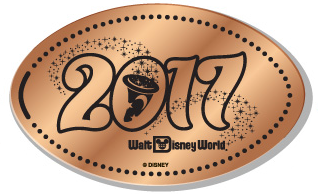 Just a short while ago I was checking out the website and almost fell off my couch when I started to see new 2017 coins all around the parks. Unfortunately I am not currently near Orlando and won’t be for a few weeks so I cannot actually confirm that these machines are up and running. 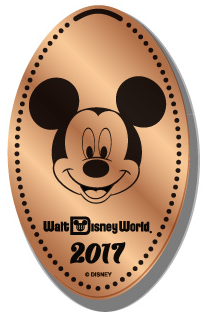 But I’m sending out requests to friends in the area to try to get pictures but most importantly press these beautiful new coins. As I acquire the coins I’ll update this post with the actual pictures, but for now I wanted to share the images that are available on the above CTM Group website. 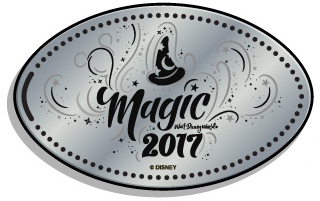 These first two coins are available in the Magic Kingdom. 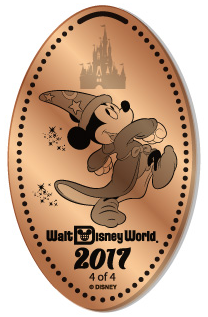 The penny on the left is in the Emporium Store, and the penny on the right is at the Sir Mickey’s Gift Shop. 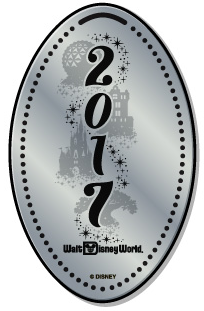 The next three coins are located in Epcot. 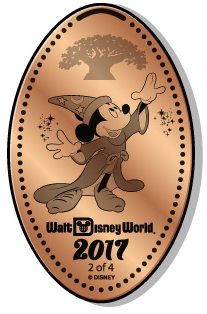 The penny on the left is from the Disney Traders Gift Shop, the penny in the middle from the huge Mouse Gears Gift Shop, and the quarter on the right is from The Land Pavilion near the Garden Grill Restaurant. 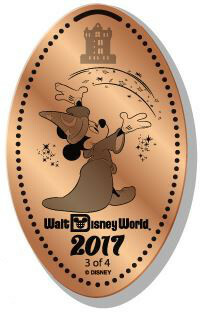 Over at Hollywood Studios there is just one coin listed at this time. It’s available at what I call the Muppet’s Gift Shop but is technically referred to as the Stage One Company Store. 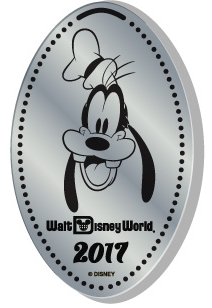 Located in Animal Kingdom are the next couple coins. The penny on the left is at Chester and Hester’s in Dinoland USA. The quarter on the right is at the Wildlife Express Train Station. 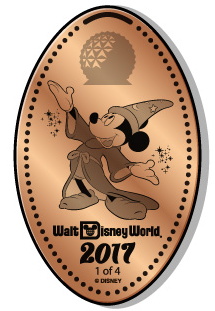 The last batch of coins are available at various resorts. 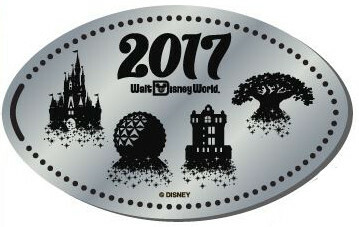 However the resort locations have not changed from last year. 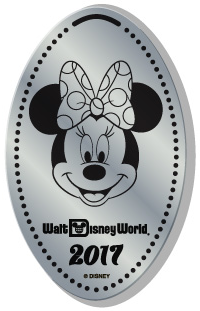 At the Contemporary Resort are the above two coins and are right near the Monorail station. A quick Monorail trip over to the Grand Floridian will get you to the next machine. It’s still located on the second floor just inside the doors that lead to the Monorail station. Finally the last two quarters are over at the All-Star Resorts. If you aren’t staying at these resorts they can be a bit out of the way to get. 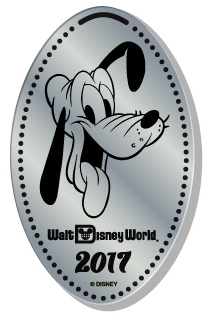 The quarter on the left of Goofy is over at the All-Star Music resort just outside the Note’Able Games Arcade. 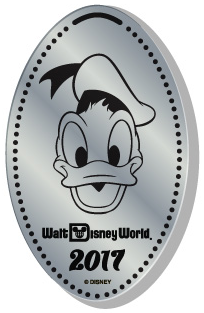 The quarter on the right of Donald is at the All-Star Sports resort outside the Game Point Arcade. 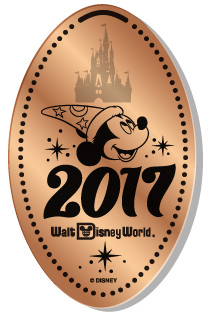 Found images of the “last” two 2017 designs that will be available. I’m just assuming they are sticking with the 15 designs but we can always hope for more. 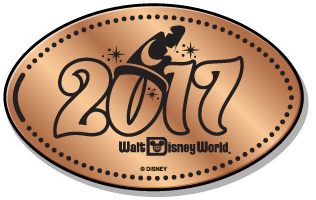 The above penny on the left is located at Hollywood Studios in the Rock Around the Shop, and the quarter on the right is in the Magic Kingdom at the Main Street Train Station. Happy collecting, and have a great New Years! !